Project Steps: Vacations are Projects Too! Well I'm off for vacation on Saturday. 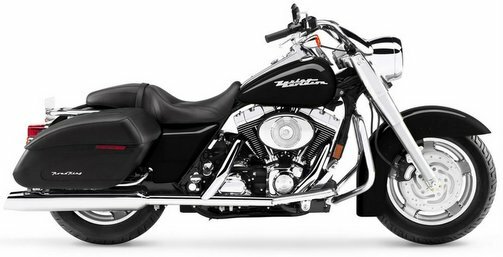 I'm riding my Harley-Davidson to Atlanta and staying for a couple of days with a friend, then moving on to the Road King Riders Rendevouz in Fontana, NC. After a couple of days of riding in the Smokey Mountains I will ride to Asheville, NC for my sister-in-laws wedding. In order to make sure the trip is as uneventful as possible, I have created a checklist of things to do and take, as well as pre-planning my route. Additionally, as part of the pre-trip process I have completed a maintenance and safety check on the motorcycle, and ensured I have my insurance, registration, and other paperwork required for the trip. While taking the time to plan the trip won't guarentee success, it should reduce the chances of problems while on the road. What out for Motorcyles, they are Everywhere! Vacation is Over, but what a Ride!